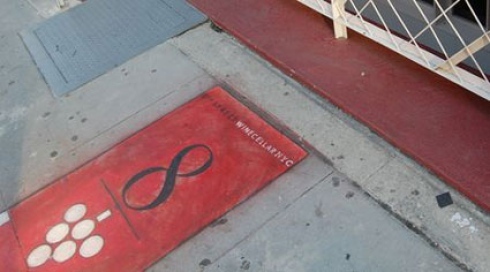 The newly opened 8th Street Winecellar may seem a bit out of its element, being located in a simple, elegant, substreet-level space on a block near New York University that's lined with pizza joints and retailers of novelty wigs and glittery nightclub wear. Then again, the seemingly less-is-more philosophy of owners Jonathan Cohen and Michael Lagnese keeps the place inviting, fun and worth more than one visit. Lagnese is a former staffer at Union Square Café, so the great hospitality on offer should come as no surprise. Cohen, who's contributed cartoons to the New Yorker is also a USC vet. 8th Street's short, eclectic list offers reputable brands from solid vintages and regions (from Loire, Alsace and Rhône to Tuscany, Marlborough and Napa). If you want to splurge, try Orin Swift Cabernet Sauvignon Napa Valley Mercury Head 2004 ($133) or a Williams Selyem Pinot Noir 2005 (87 points, $126). You'll do just as well, however, with more moderately priced selections, like the Viña Errazuriz Cabernet or Joseph Drouhin's Vero Pinot Noir 2006 ($14). I like to front as a sophisticate as much as the next guy. I want to feel like I understand the finer things. A deep, complex glass of red. The subtle layers of taste in pi or carpaccio. The way the nasty quality of a clam can sync with butter and basil and treble the pleasure of all three. Of course, left to my own devices, cheap Chinese food and beer seem to be the default settings. That's why it's nice to find a place like the 8th Street Winecellar. In a totally low-pretense setting, an attention to detail and quality here helps a person feel civilized. This is a wine bar, so the food is small plates, served up by chef Carlo Soranno. The offerings are clever, if not overly showy. Tuna sliders are a big seller. Supple ahi tuna patties are slipped into miniature potato buns, with firm tomato slices providing some spine. I really dug the ginger coleslaw on the side, with its hot-spiced kick. The frisee salad is the equivalent of a schoolboy reading Maxim slipped inside the pages of a biology text: the healthy greens on top hide a rich potato gratin, with both elements equally steered by the tanginess of sherry vinaigrette. The cheese plate comes with rustic black bread and palate-cleansers of tapenade and chutney. I sampled the Bartlett Blue, Montcabrer, and Brebirousse. None went particularly deep or complicated in flavor, but each was as smooth and creamy as you could hope for. (And if all the haute stuff is bringing you down, there are also honest to God pigs in blankets, in glorious golden dough.) Dessert brings a cookie sampler, with a homemade take on the Oreo and an excellent, airy oatmeal item–although the plate begs an espresso. And for that, the bartender has to point you toward an outside establishment halfway down the block. Some wine bars make me feel like their oenophilia is an afterthought: The community board cockblocks the full liquor license and a joint is stuck with a PG-13 take on bar life. Not so at 8th Street. A stellar high-proof selection covers the back wall. The wine list itself reflects a strong edit, too, with Alsace, Australia, Napa, and Columbia Valley making the cut. I'm a sucker for the Piedmontese, and my Nebbiolo was as good a glass as I can remember, slightly spicy with a hint of blueberry at the finish. The two partners in charge, Jonny Cohen and Michael Lagnese, built up a fan base behind the bar at Union Square Cafe legendary hospitality has rubbed off. Service is patient, never making you feel rushed. Staff is as quick as the Chinatown Ice Cream Factory to volunteer a sample taste. Open beer bottles are kept on ice behind the bar as if they were champagne. The subterranean space has almost a speakeasy feel. There's a slate bar in front, and a second, smaller, tasting bar in the back. In between are a few tables, a couple of patches of de riguer brick, and a bank of flattering, exposed-bulb lights. Somehow, the low ceilings manage to come across as intimate rather than confining. © 2016 8th Street Winecellar. ​Photography and Development by PRADODESIGN.COM.